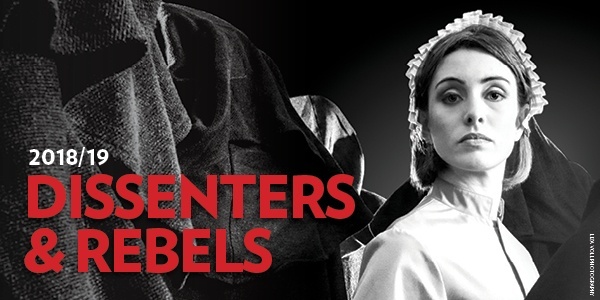 Who are the Dissenters & Rebels of opera? In celebration of our 2018/19 Season, we took a tour through opera history to find seven examples that upended societal expectations, charted their own course, and inspired others to imagine the world anew. We’ve reached installment #3 – turning to the Risorgimento in Italy and the mythic status of an unforgettable Verdi anthem. Based on Biblical stories, the opera Nabucco follows the Jewish people as they are conquered and exiled from their homeland by the Babylonian King Nabucco (or, in English, Nebuchadnezzar). “Va, pensiero” is a chorus sung by the enslaved Jews, longing for their homeland. Amidst the Risorgimento, the 19th-century effort to unify Italy, Va, pensiero struck a chord (yes, pun intended). Italy had long been divided into nation-states and ruled by various empires and foreign powers, including Austria and Napoleon. By the middle of the 19th century, opera was Italy’s most important cultural product, and Nabucco was the opera that established the young Verdi as a major cultural voice. According to later statements by the composer, at the first rehearsal of the piece, the stagehands clapped and pounded their feet in approval of the chorus. Though modern scholarship debates the political impact and meaning of Verdi’s early operas, operatic folklore holds that from its premiere in 1842, the public adopted Va, pensiero as an unofficial anthem of Italian nationhood. 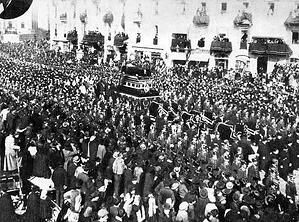 During a slightly later period (1858-59), the phrase VIVA VERDI became a popular signifier of support for the Risorgimento, with Verdi’s name serving as an acrostic for “Vittorio Emanuele, Re D’Italia.” In the culmination of the Risorgimento, in 1861, Victor Emmanuel II of Italy became the first king of a united Italy since the 6th century, marking a new chapter in Italian history. By that time and in the subsequent years, Va, pensiero had become enshrined in Italian consciousness as a mythic harbinger of unity and nationalism. For the most part a patriotic supporter himself, Verdi helped to encourage this status in his later years. Indeed, legend holds that crowds spontaneously began singing “Va, pensiero” as his hearse processed through the streets of Milan following his death; about a month later, some 300,000 gathered as Verdi and his wife’s coffins were reinterred, and Arturo Toscanini conducted a chorus of 800 in the work as a final tribute to the Bard of the Risorgimento.